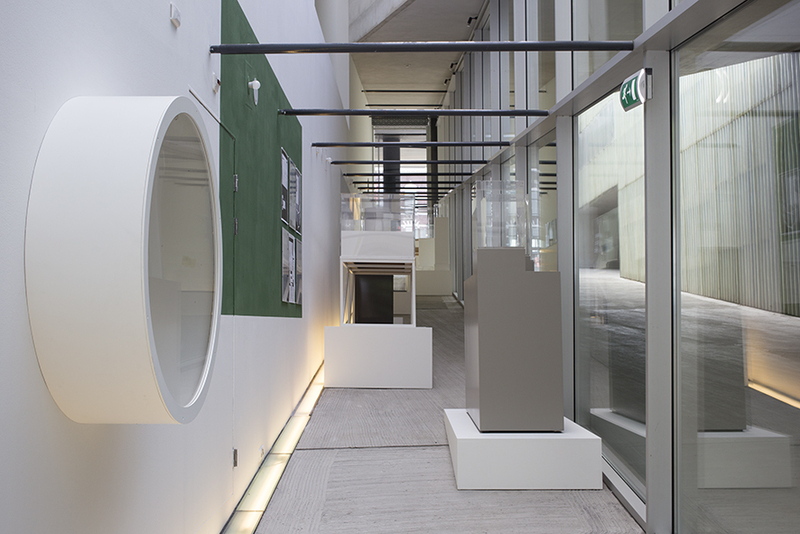 This solo-presentation at Kunsthal Rotterdam was based on the concept of a museum collection presentation – the ones that are nowadays sometimes compiled by ‘famous’ guest-curators. 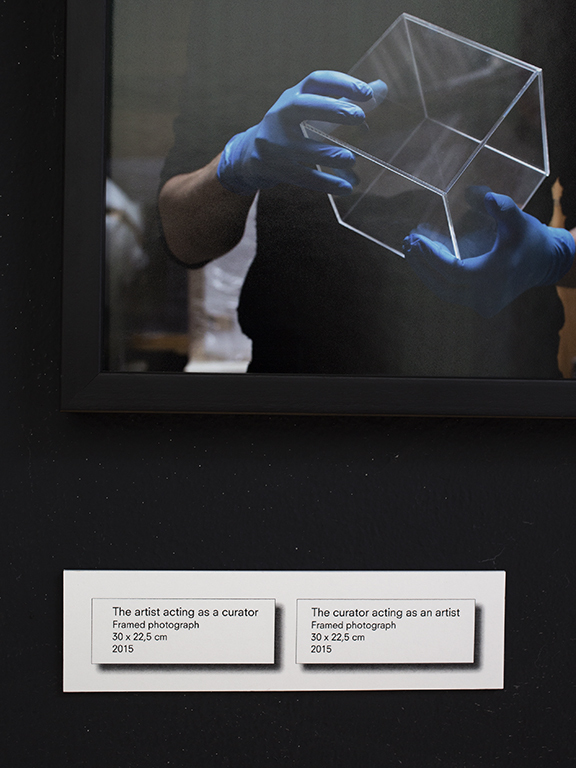 While working on the show I took on a double role: besides being the artist I also acted as a curator within my own exhibition. 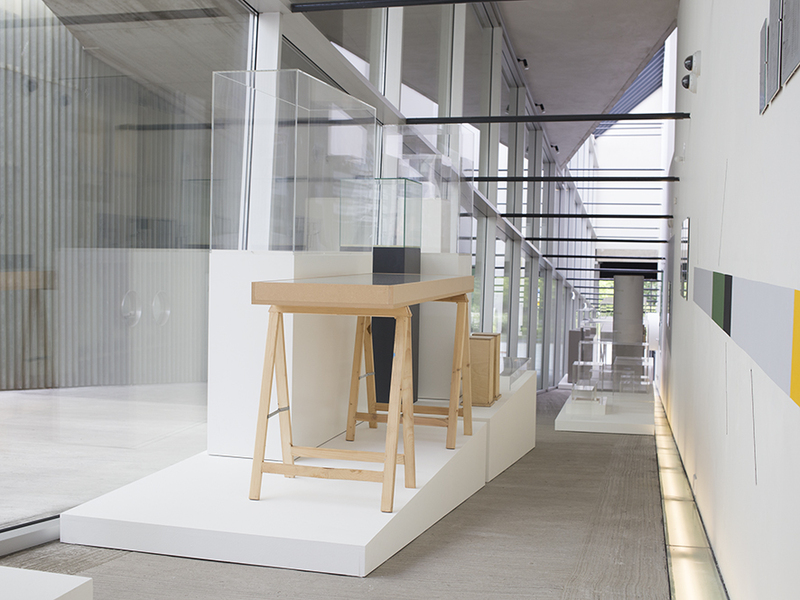 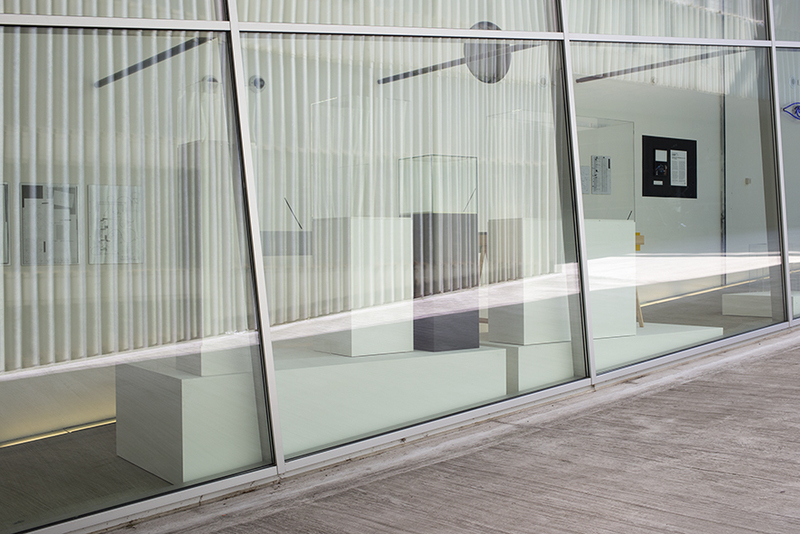 Although the Kunsthal doesn’t have its own collection of art, it does have a vast collection of objects that have at some time been used within exhibitions in the Kunsthal, but which temporarily lost their original use while in storage. 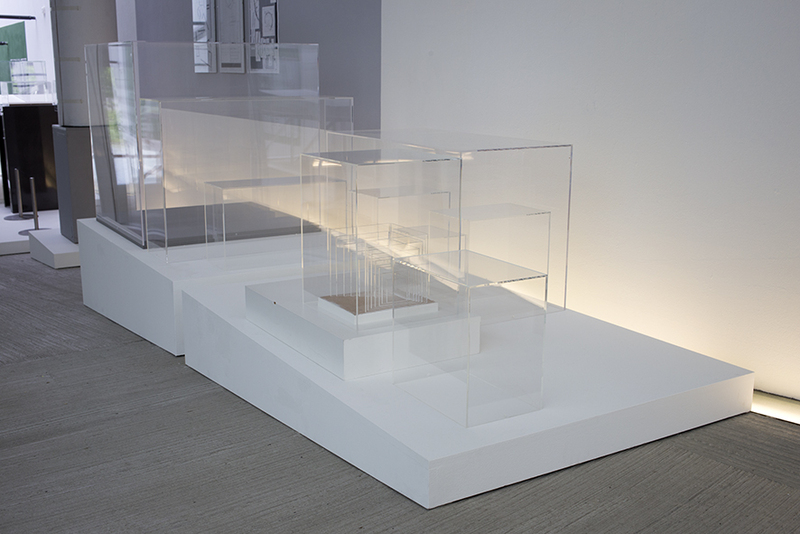 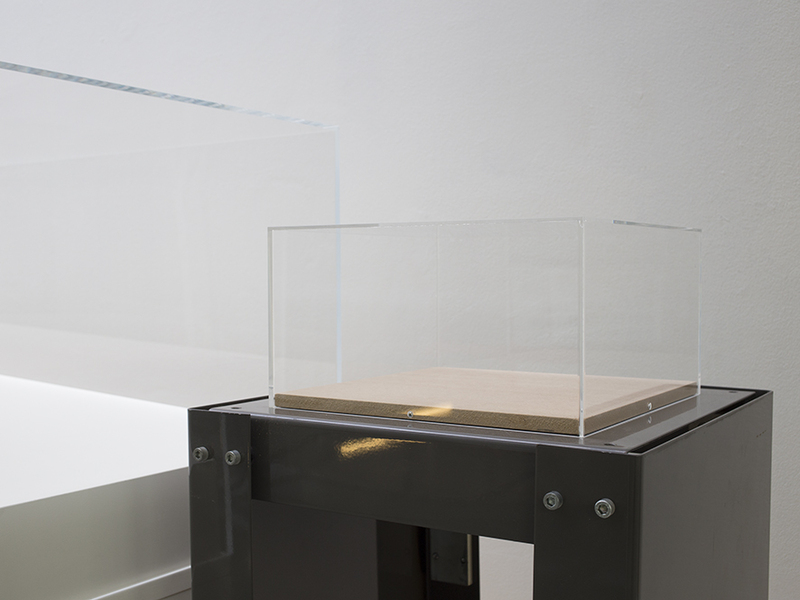 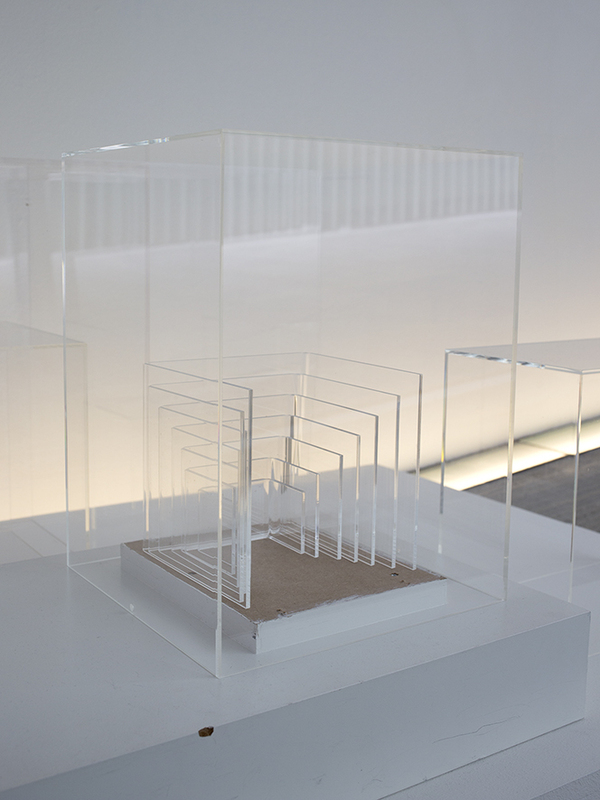 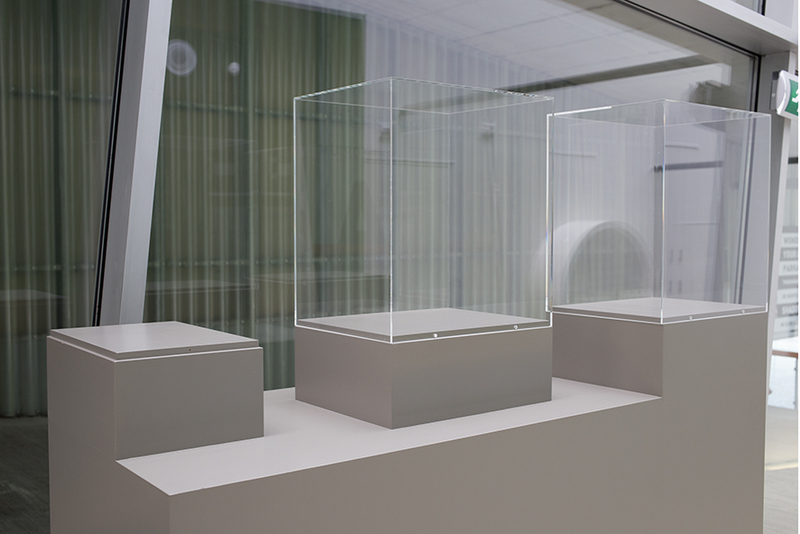 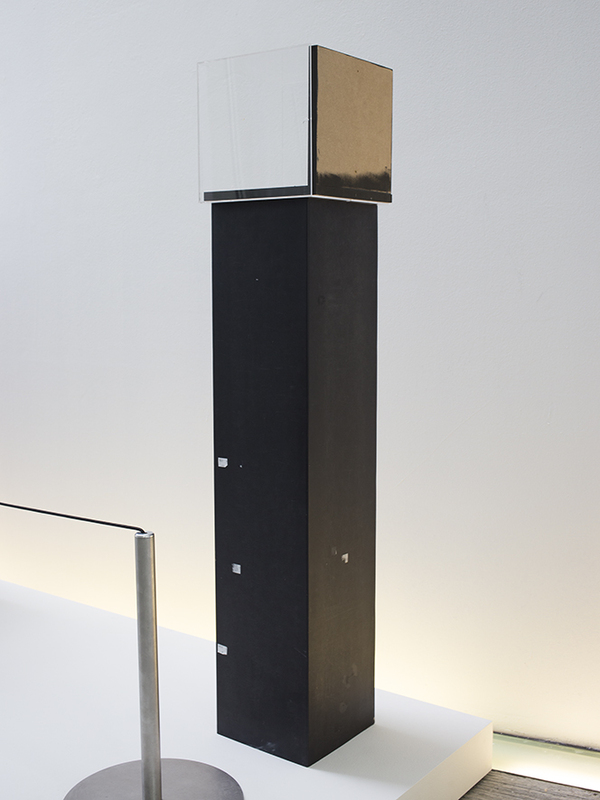 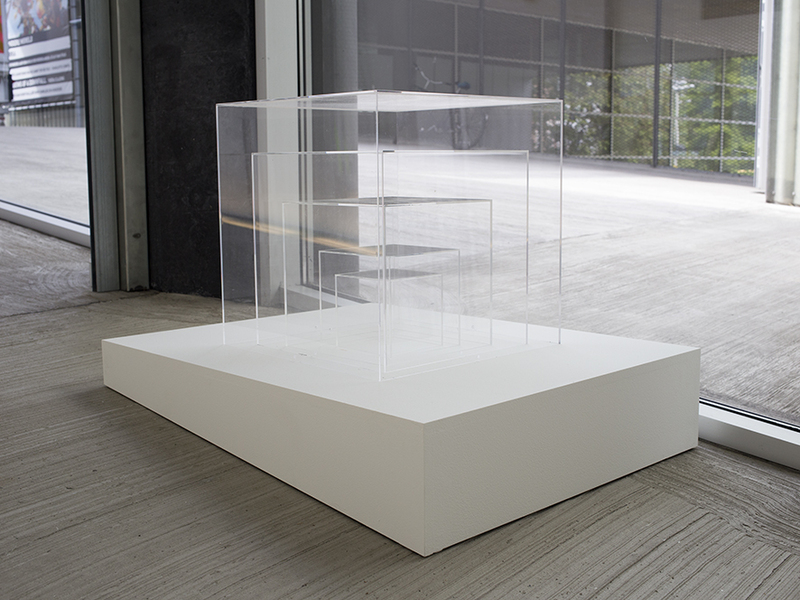 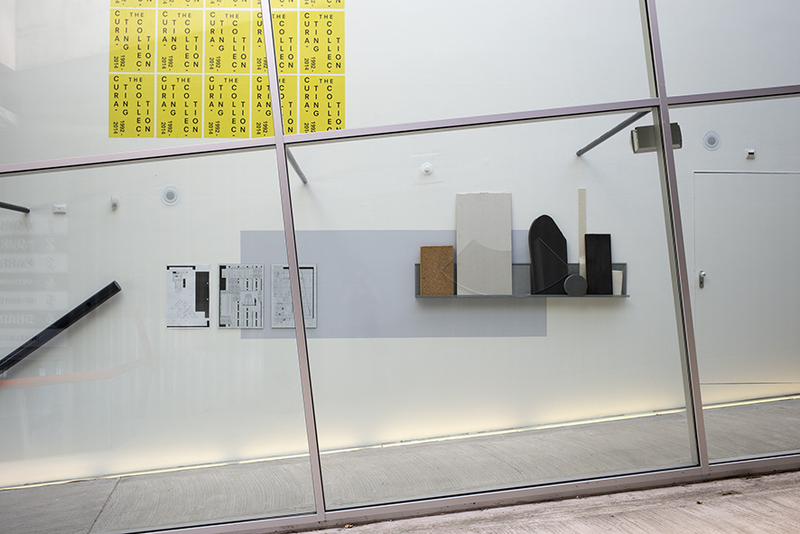 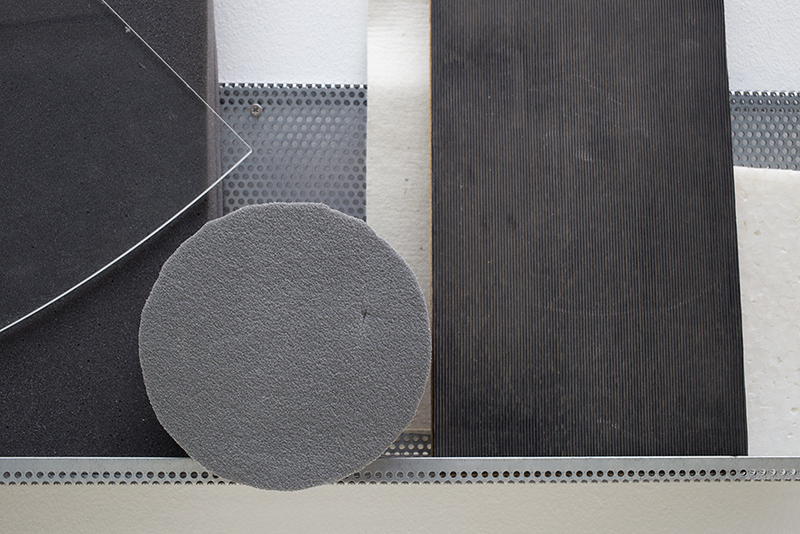 The installation features several compositions made with these objects: perspex covers, pedestals, display cases and different colours of paint. 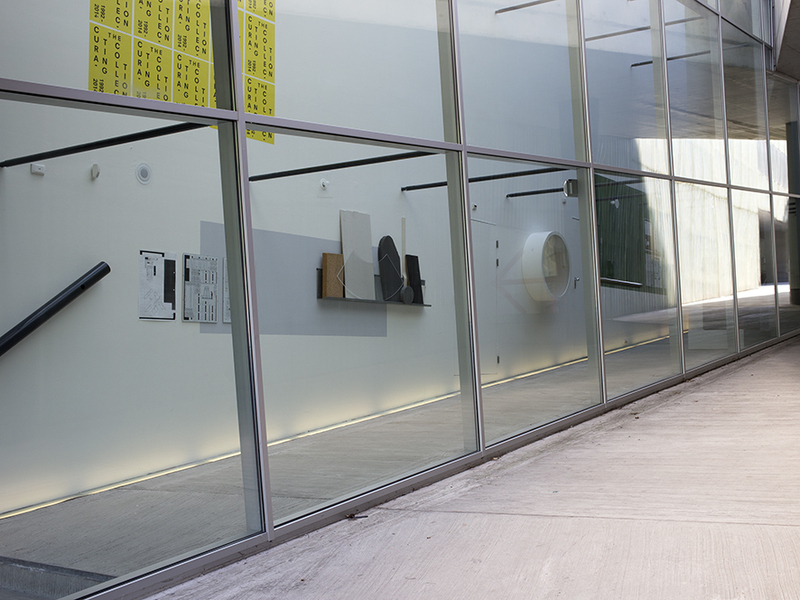 All of them obviously have something to do with art, but instead of playing their usual suportive role, they’re presented as the artworks themselves. 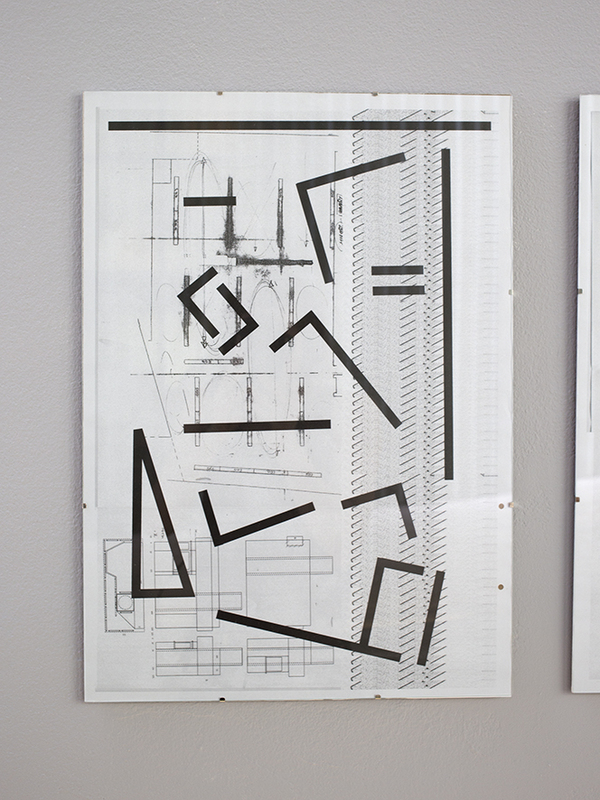 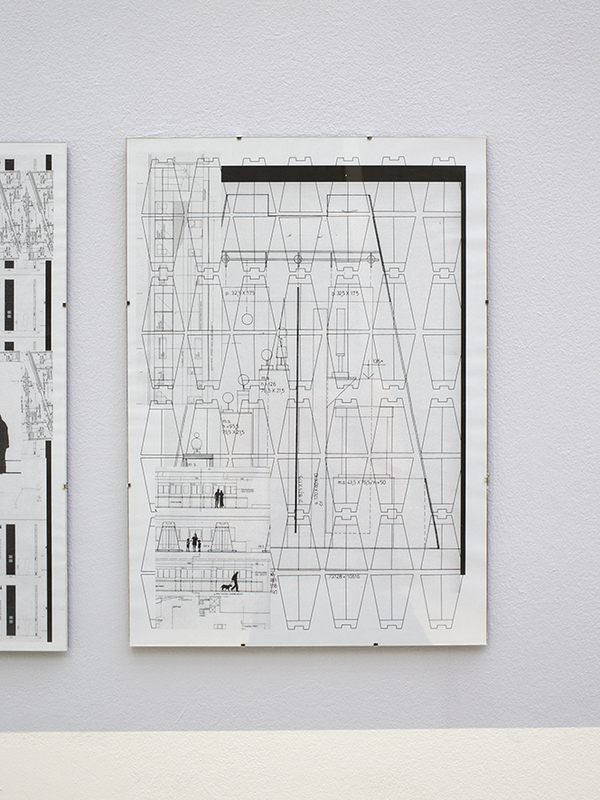 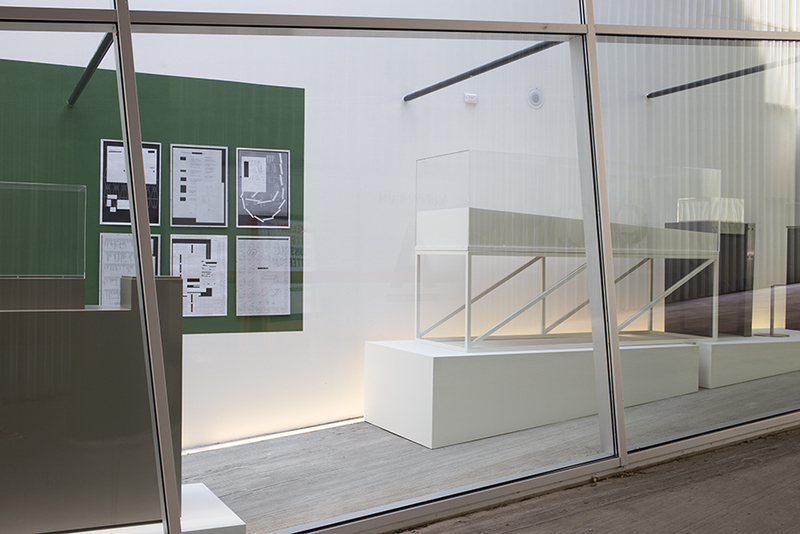 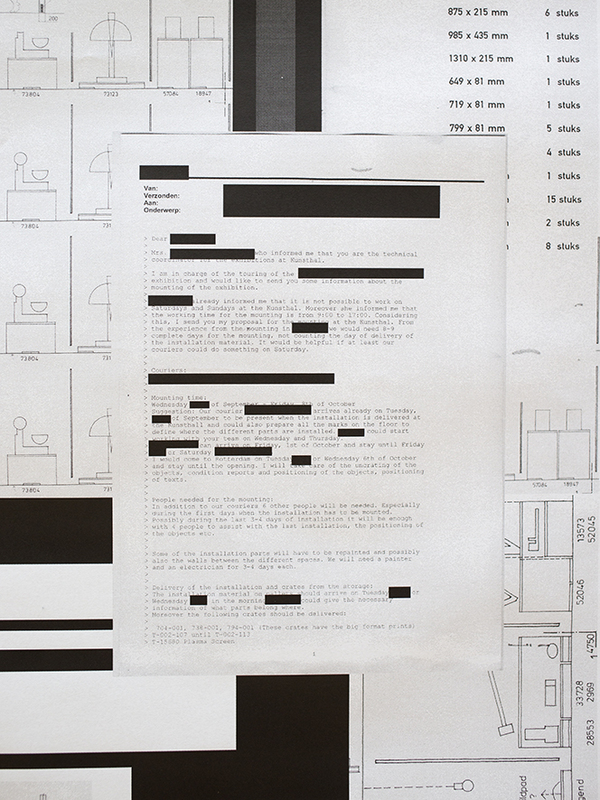 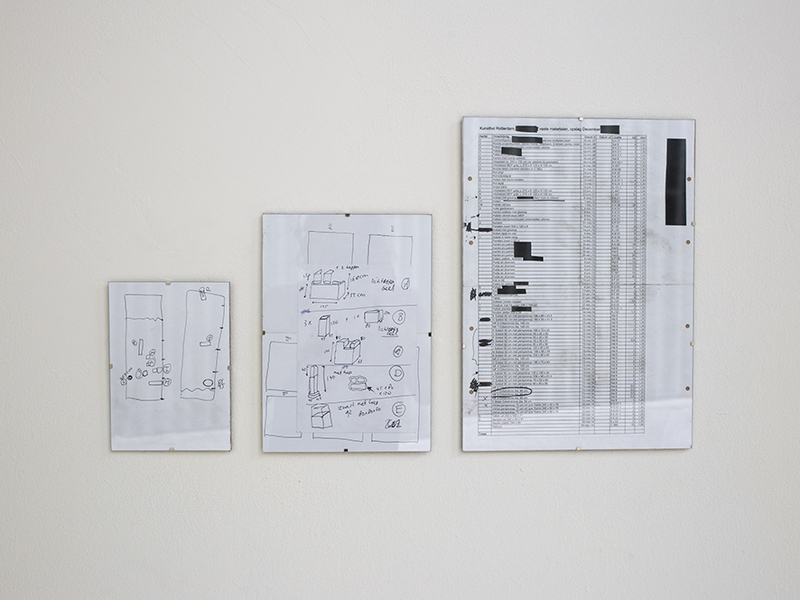 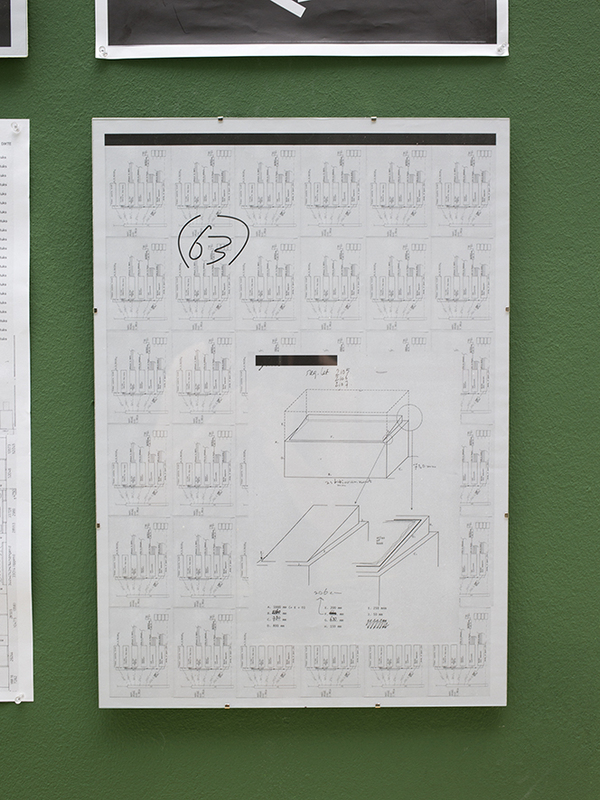 The series of collages ‘Exhibiting the archive’ consists of (cut-up) floor plans, technical sketches, email conversations and routing designs from the archives of Kunsthal, using their information as a material. 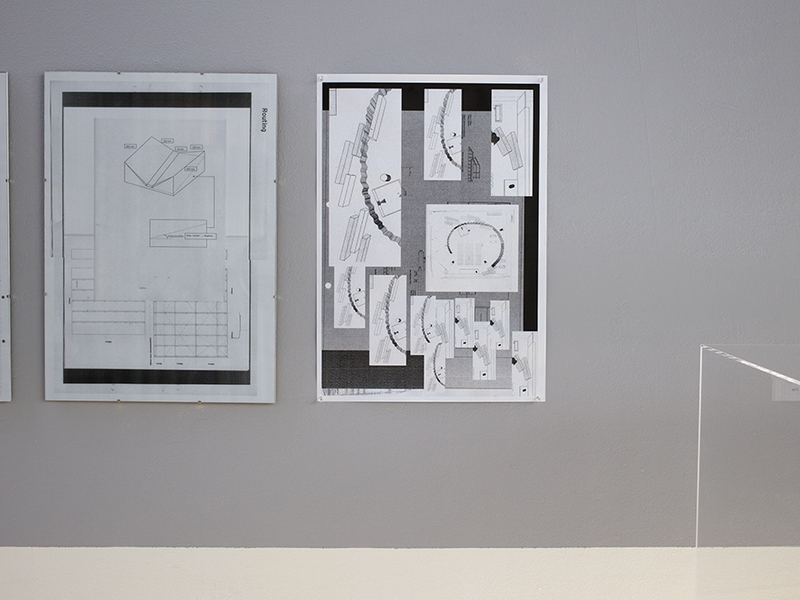 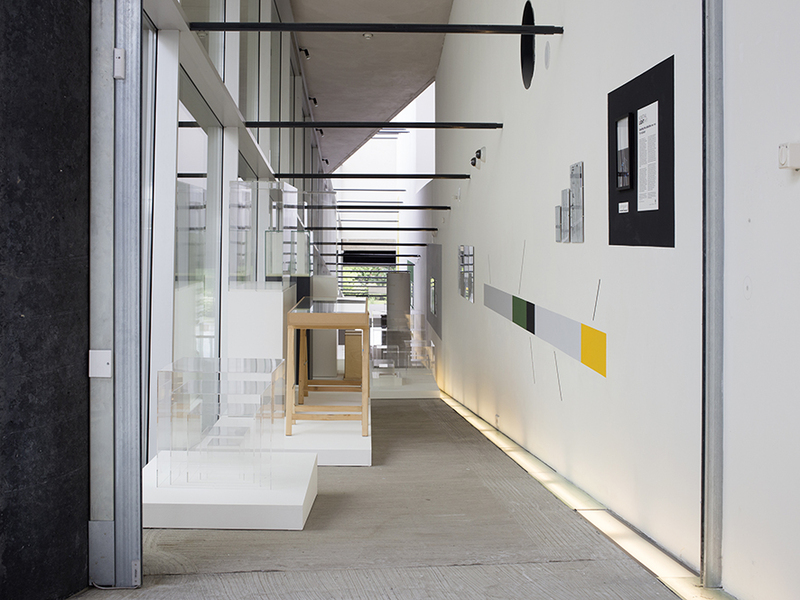 Together they seek to display the infrastructure of exhibitions in the Kunsthal. 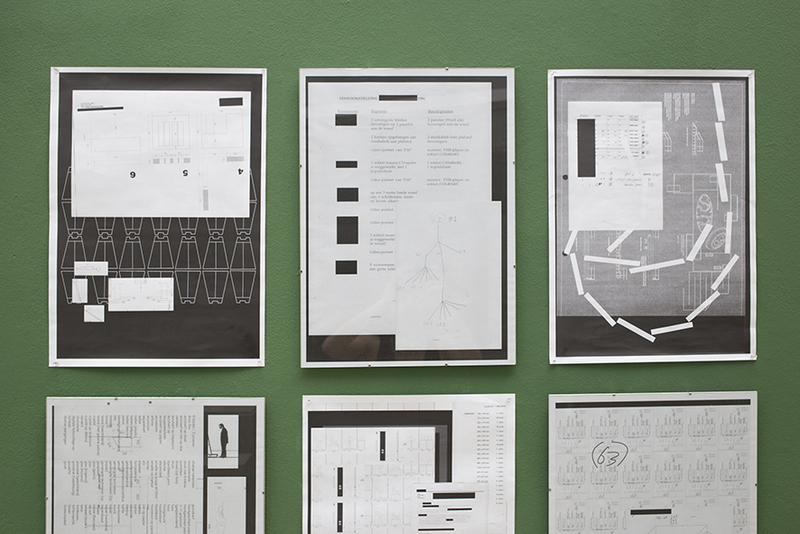 The presentation further consists of what appears to be a timeline that could guide the visitor through the Kunsthal’s history, but is missing any palable information. 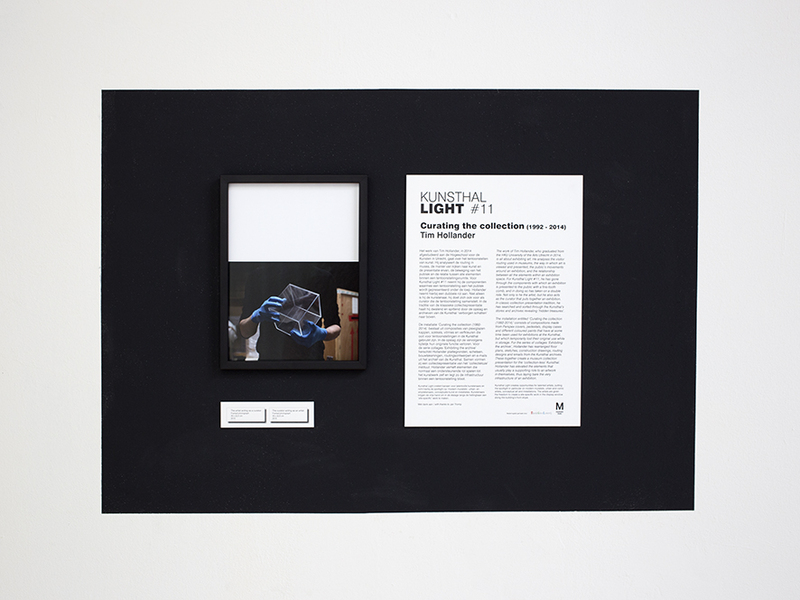 The exhibition’s main text is accompanied by a 30 x 22,5 cm photograph that glorifies the curator (or is it the artist?) 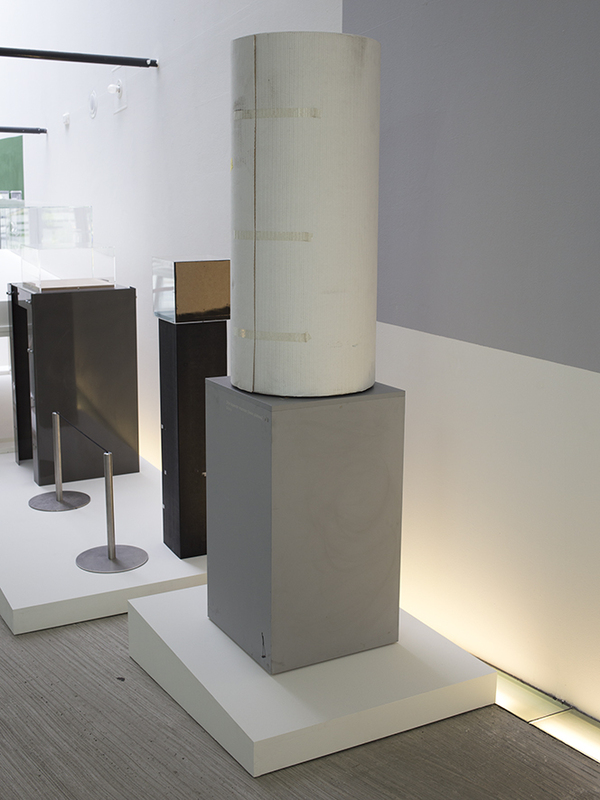 at work – the way celebrity curators often seem to be more important than the actual artworks displayed in the exhibitions they’ve just curated. 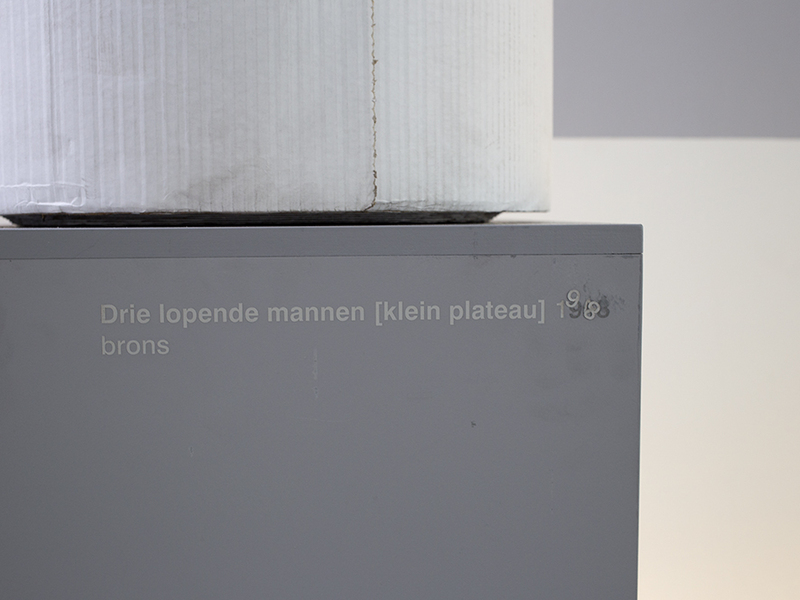 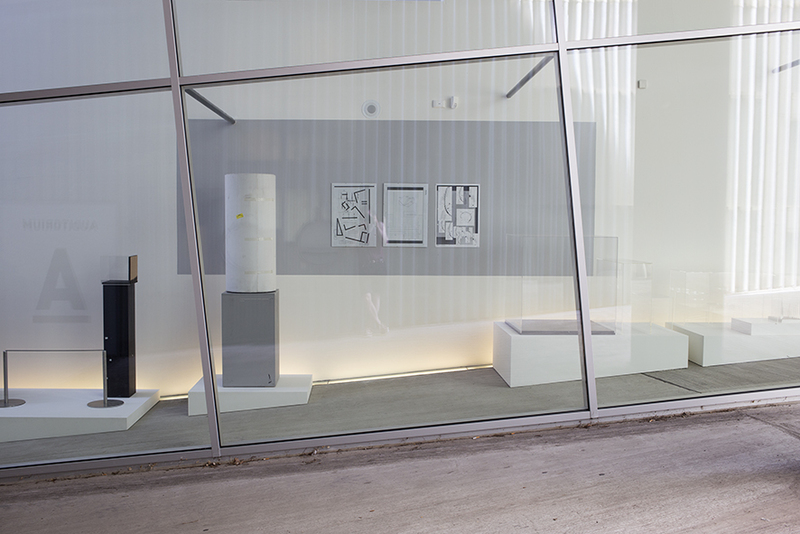 The exhibition was partly made possible thanks to the Mondriaan Fonds.